Have you ever been faced with a tough decision that you sort of already knew the answer to? You were afraid to act because you were afraid to rely on your own judgement. Well, many psychics believe that this is where the tarot can help you by unlocking the subconscious you’ve forgotten about or cannot access. Here’s the six card spread that should help. Shuffle your tarot cards and cut the deck. Then deal six cards. The first card will tell you how you’re feeling about some decision you’ve made. Look at it. It is a major or minor card? Check to see if it’s a court card and what emotions you feel towards it. Does the card show someone achieving a goal or getting stuck? Whatever is happening in the card reflects you and will give you clues as to what you must do moving forward. The second card is the present. When you look at this card, it will tell you where you’re at right now and also your goals and vision for the future. It will also show you what you are expecting to happen. 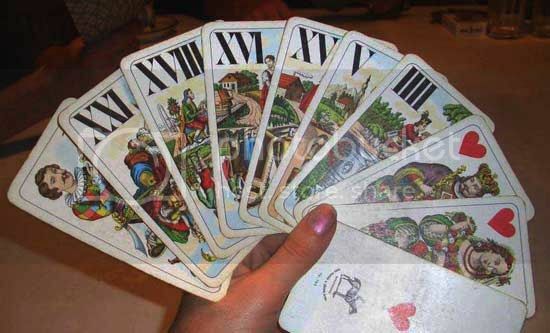 The third card is the past. It shows you who or what from your past is affecting your decision and what you need to do right now to come to terms with it. This is an important card because it can reveal patters from the past that may be tripping you up today. The fourth card is the card of the future. This is what happens to you once your decision is made. Think of this as you would psychic readings in the sense that you’re getting a glimpse into a possible future, but not a definite one. The fifth card is the card that explains why you’re really asking the question you’re asking. This is what makes the spread unique - it unveils your subconscious emotions and motivations. This is what you really want from the outcome. Really spend some time with this one as the message contained in the card may not actually represent your conscious convictions. The more resistance you feel towards the card’s message, the more important it is for you to spend time on it. Let’s say the card shows you something that you find morally offensive or something that you detest consciously. This might worry you because, subconsciously, the card is telling you that this is what you’re really motivated by and hoping for. It’s not a message most people would want to receive, and so it warrants you doing some introspection to figure out why you feel the way you do and why your subconscious mind “thinks” differently. It may be confusing or even heart-wrenching at first, but it’s an important step. The sixth card is the potential within the situation. This is what you may not be able to see. It’s the benefits or risks involved in taking action or inaction. The card brings a sort of clarity to the situation by opening up possibilities or showing you if you’re making mistakes. Heather Jackson has been getting Tarot card readings for a long time now. She has started to learn how to do them herself, and she shares that knowledge on a variety of Internet blog sites.